Several reports of crystal planting work have come in this week. 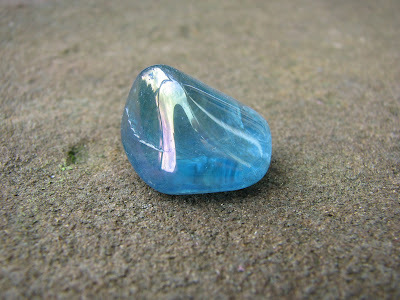 Further programmed aqua aura crystals have been planted to the North Yorkshire Moors in England and to Iona and Staffa in Scotland. Also on the North Yorkshire Moors, the General Healing configuration of pyrite and rose quartz has been used at the site of a very sad accident in former times where a horse fell off a pack horse bridge and despite a long rescue attempt passed away in quite horrific circumstances . The person planting this site felt a huge release of energy as the crystals were ignited and saw a single concentric ring many times larger than the crystals used ripple out across the water form their point of planting. A big thank you to everyone out there crystal planting and for these new records. The key crystal in this meditation is rose quartz, please use the image of rose quartz below as a positive visualisation. Tonight's meditation is a continuation of the Crystal Earthworks series of meditations throughout the months of June, July and August 2009, to promote peace and bring healing across the planet - we hope you can join us! A quick update on things here. Our move to Orkney is going well with a provisional date in October set - I will keep you all informed! Crystal Earth Meditations on the second Wednesday of each month have moved to a new venue in West Yorkshire - The Pennine Natural Healing Clinic, contact details remain the same and next months meditation will focus on animals. The planting of Rose Hearts of Light to coastal waters for the land mass of Ireland is now complete. A huge thank you goes to Jennifer Anne Mole for her great strength, determination and ability to endure all those driving hours to achieve this and hopefully she will be able to share some of her experiences with us all soon. There are still some crystals required to be planted to complete the Coastal Heart work for England and Wales and I will post the areas for these soon if anyone feels able to help. Please go the Community Planting Project page of the Crystal Earthworks website (see links) if you are new to this work and would like further details. Many thanks for your connection.